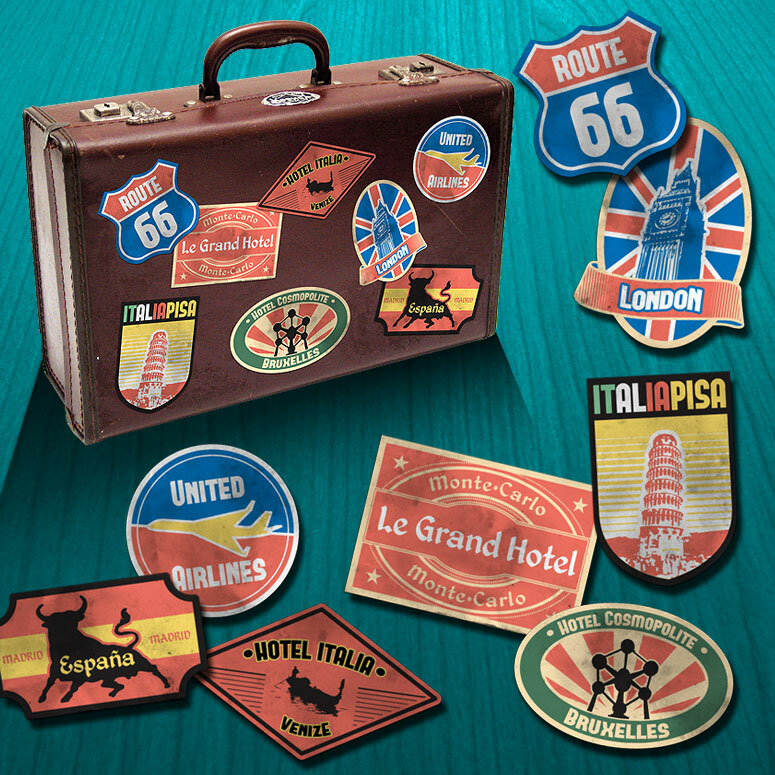 This is a second collection of 8 professional designed Vintage Travel Stickers for any design project. These are great for any tourism / vacation / travel web site or design! 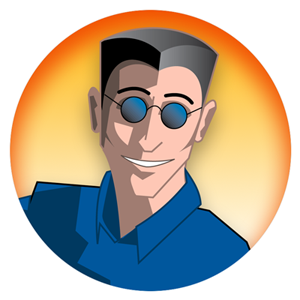 All Photoshop files are easily layered and editable. All the stickers are in high resolution (approximately 1500×1000 px), and they are made with smart objects so you can scale them without loosing quality! You can use them with the old texture shown or you can turn it off and have a clean look. 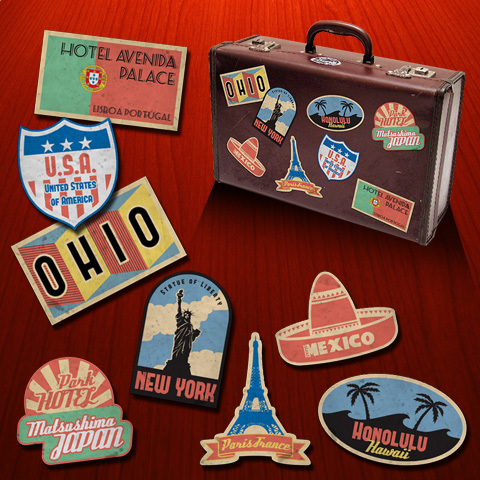 This is a set of 8 Vintage Travel Stickers i designed.These work great on any tourism / vacation / travel web site or design! All Photoshop files are easily layered and editable. They are all in high resolution (approximately 1500×1000 px). You can use them with the old texture shown or you can turn it off and have a clean look. They all use free fonts with links for you to download on the help file included.